There is something slightly counter-intuitive about a detox lunch in a steakhouse. I suspect Gaucho recognises that – their January set lunch menu offer has two sides. 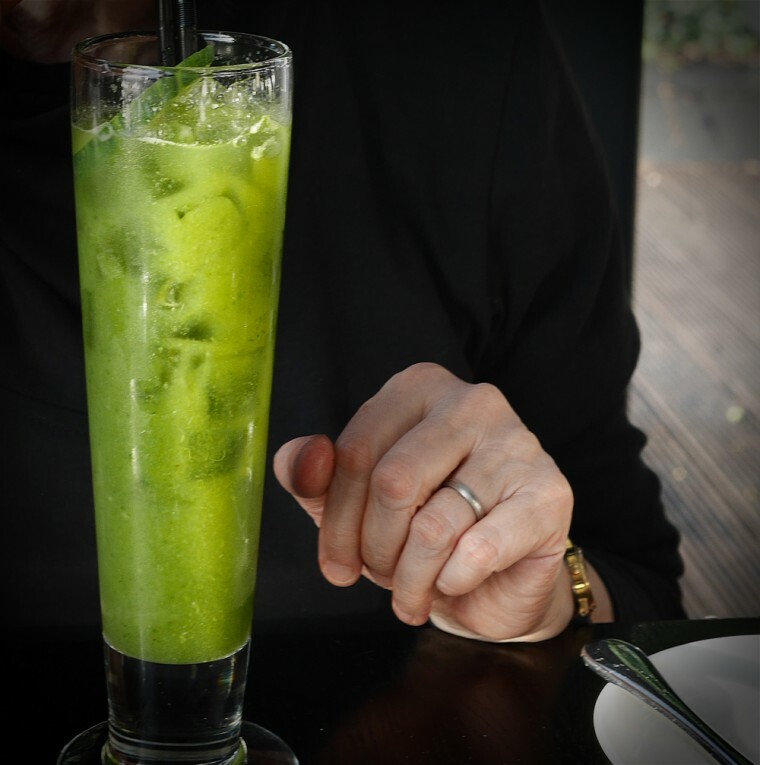 The menu printed on the ‘white’ side of the card includes a ‘Green Juice’ – coconut water with blended lime, apple, kale, cucumber and mint, sea bream tiraditos, steamed cod with coriander and lime and super fruit salad. Turn the menu over and on the other side, printed on a black background, there’s a rather naughtier selection of dishes including a starter of beef empanada, rib-eye steak for the main and chocolate tart or sticky toffee pudding for dessert. 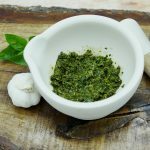 The idea, if you happen to be trying your best to diet or cut alcohol during January, then the detox menu will save you from temptation. But, anyone eating with you can still indulge. 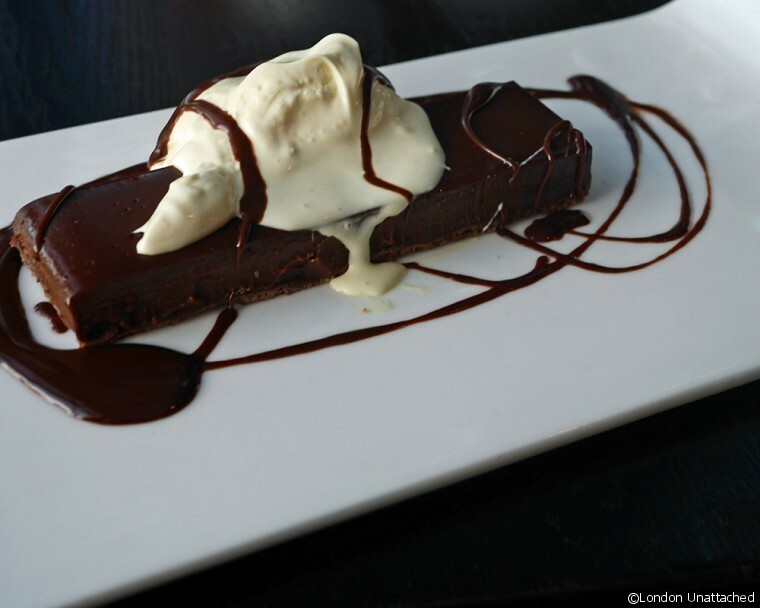 Each menu is just £23 for two courses or £26 for three. 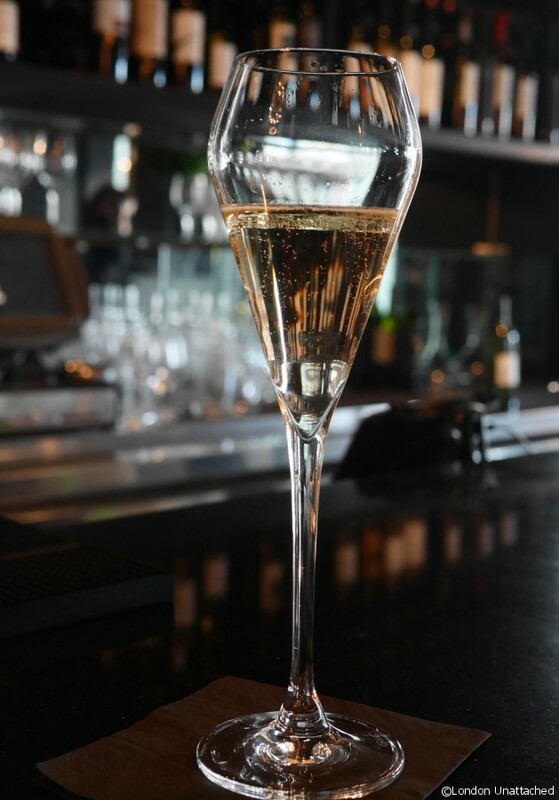 Visiting to check out the detox menu, it seemed only right and proper to start with a glass of sparkling Argentinian wine at the bar. After all, that is one of lowest calorie alcoholic aperitifs. And, the bar does have splendid views out over the Thames, which it would be churlish to ignore. 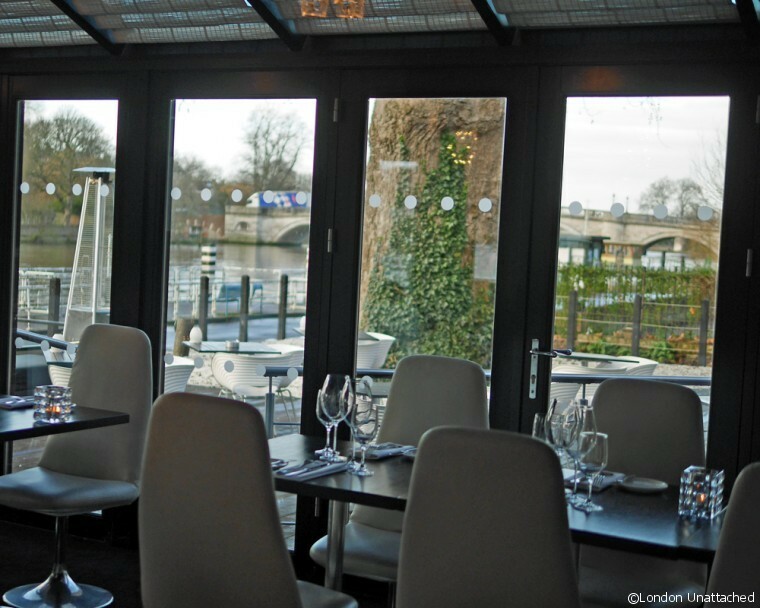 During the summer, Gaucho Richmond has an outdoor terrace right on the river front. 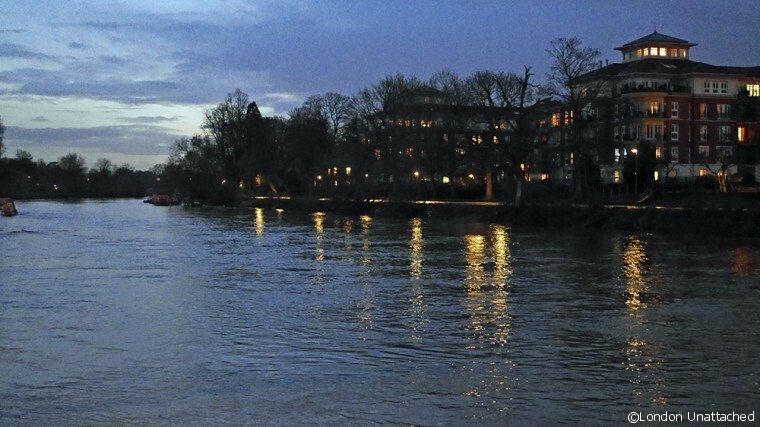 But even in winter, the full length glass windows give everyone the perfect river vista. She thought it was wonderful and refreshing. Meanwhile I sipped happily on a glass of not so detoxing malbec. Gaucho does have one of the best Argentinian wine lists in the UK and that kind of temptation is hard to avoid. I did however ‘sacrifice’ myself with sea bream tiraditos with quinoa vinaigrette. 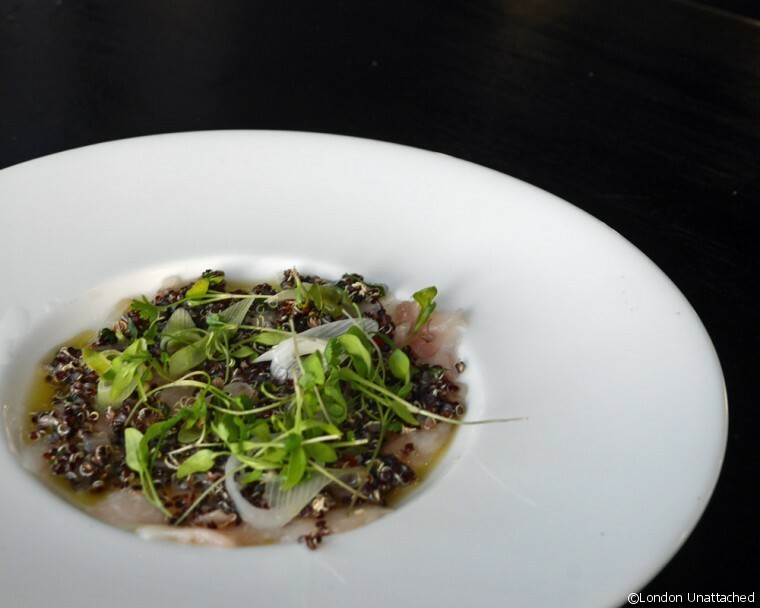 It was utterly delicious – with small sprouts of quinoa and fine slices of cured sea bream with a lemony dressing. Meanwhile, my companion had chosen the daily special of a salmon salad, a slightly more substantial dish with beautifully flaky fresh salmon. 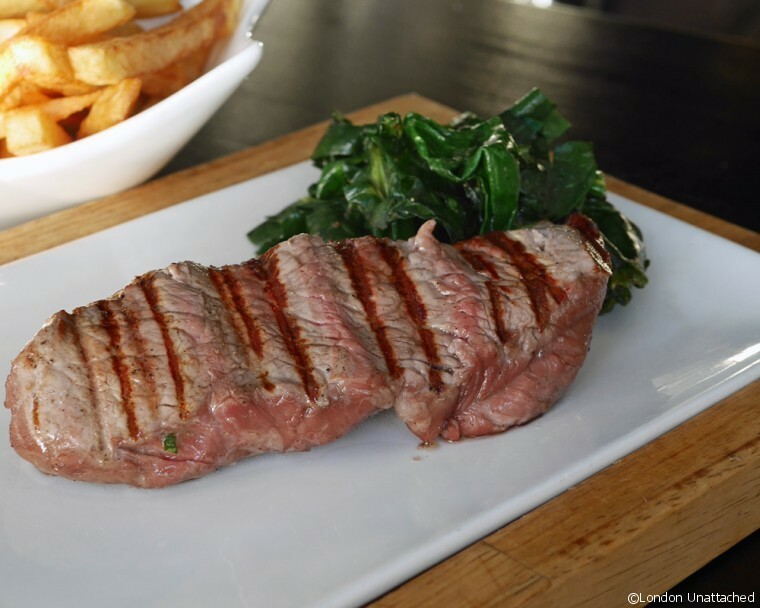 Sticking firmly with the detox lunch menu, I ordered 180g of rump steak (rare) with steamed garlic spinach. And then, temptation took over in the form of a portion of thin chips. 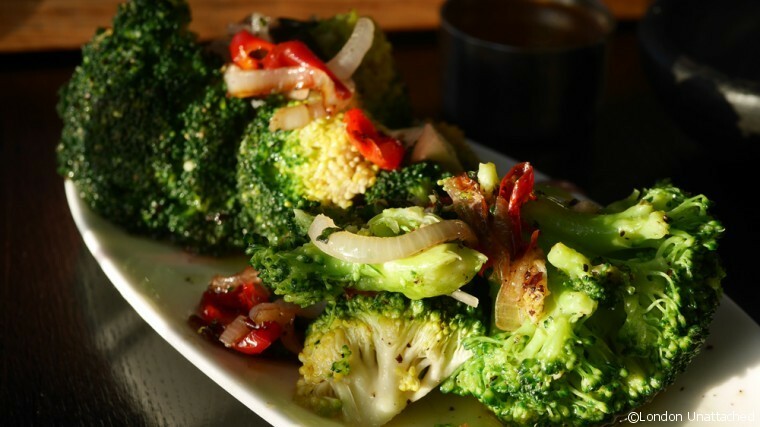 Oh and a sharing portion of the special spicy broccolli. 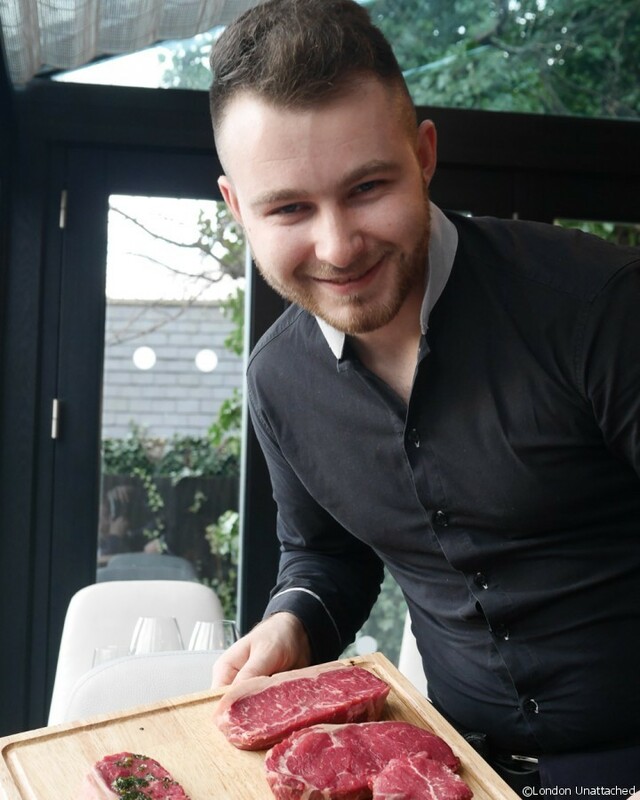 My companion’s fillet steak (lomo) came from the a la carte menu and was suggested by our server who had shown us the board of steaks on offer and explained which cuts were better suited to being served well done. 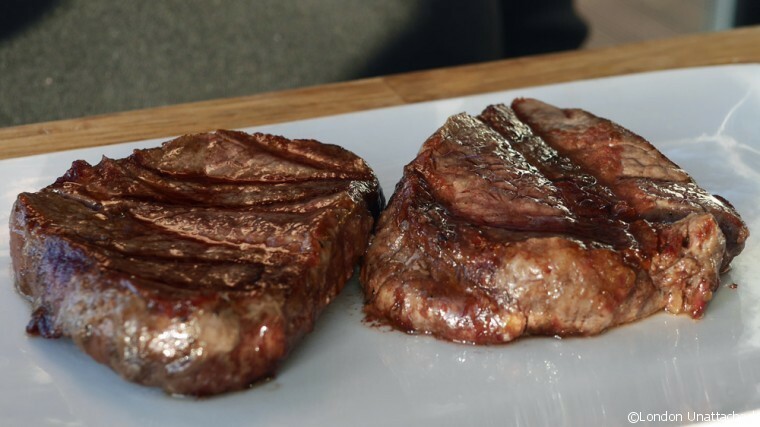 Both steaks were beautifully prepared, my rare rump steak lovely and tender (rump can be a little chewy if it is over cooked). And the broccolli was the kind of side order that I could happily have eaten by itself. My companion also loved her mushroom sauce – a rich reduction with plenty of fresh mushrooms. By dessert I felt it was time to stray again and chose the chocolate tart with clotted cream from the anti-detox lunch menu. 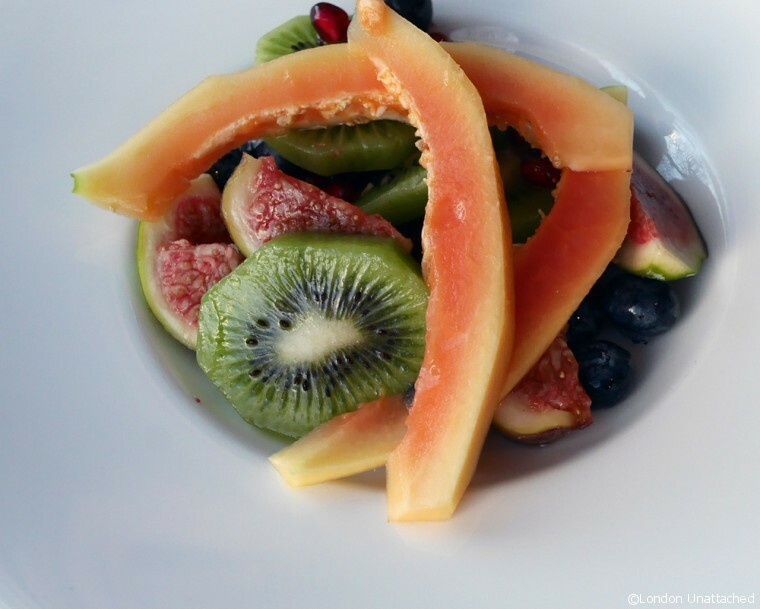 I’m sure my companion hadn’t over indulged, but she did willingly opt for the super fruit salad, which turned out to be a substantial bowl of fresh fruit – fig, kiwi, blueberries, pomegranate and papaya with honey. It didn’t look like too much of a sacrifice to me, though I wouldn’t have swapped my chocolate tart which was rich and deep with a crisp chocolate crust and a topping of decadent clotted cream. 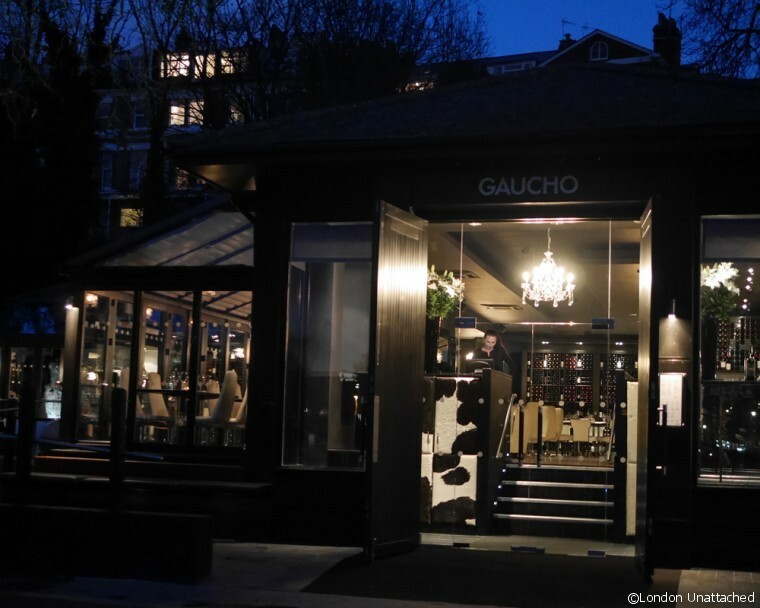 I’m a big fan of Gaucho, the first Argentinian steakhouse in London. 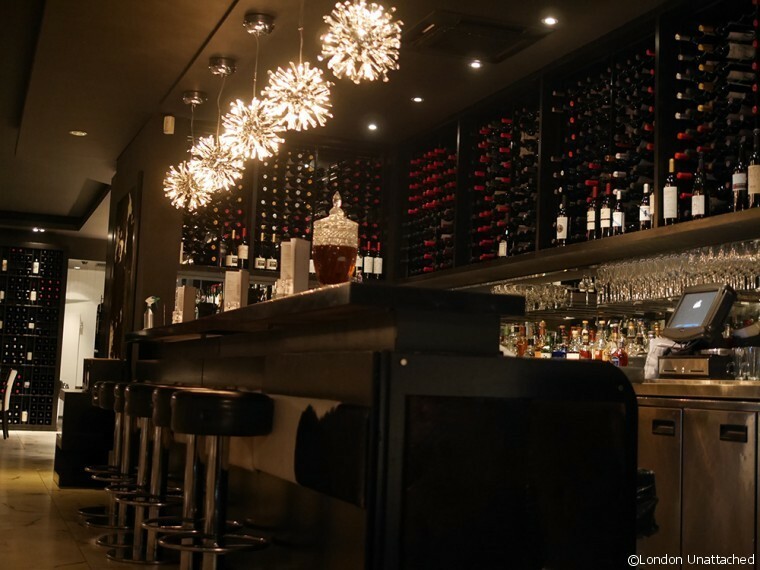 They offer excellent Argentinian steak, a comprehensive wine list (all Argentinian) and a selection of interesting Argentinian dishes for starters and as an alternative to steak for the main course. I was particularly impressed on this occasion by the sea bream tiraditos and by the ability of the kitchen to turn out a perfectly cooked rump steak. 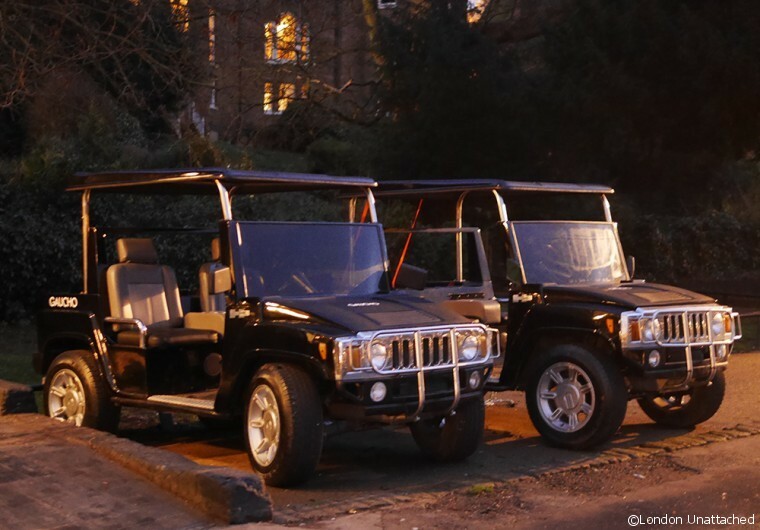 It was my first visit to Gaucho Richmond – it rivals the Tower Bridge Gaucho for its view and is a relaxing yet glamorous location along the river bank. In winter it is spectacularly beautiful, in summer I can only imagine how charming the terrace must be. 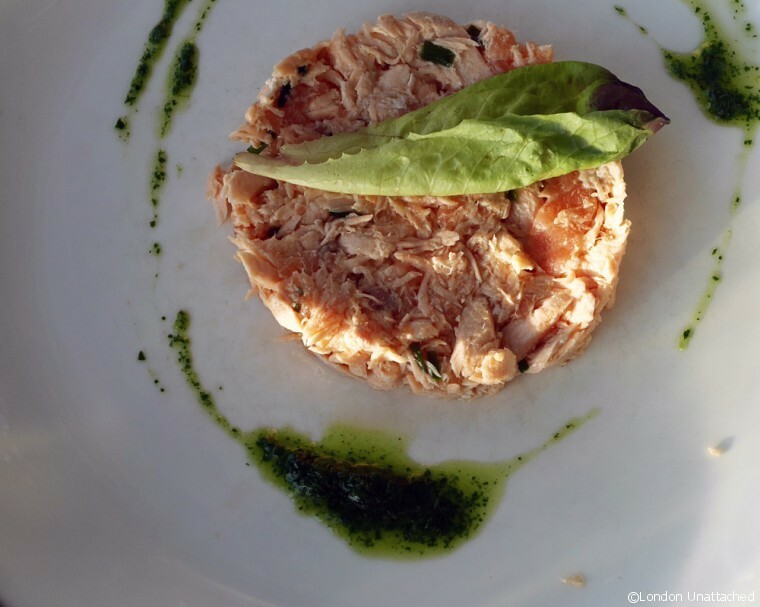 Service, as at all the Gaucho restaurants, is friendly, efficient and very well informed. We learnt that all the staff have to pass an exam before they are allowed to work in the restaurants, and that everyone is trained in all aspects of service. This is the kind of place to go for a detox lunch when you don’t want to forfeit your meal for the sake of a diet but you’d still like to keep those resolutions. And, whoever you dine with can indulge in a sinner’s paradise of indulgence. Of course, you could always steal a chip or two. Or, simply mix and match as we did – after all that’s only half as sinful! With many thanks to Gaucho for our invitation to review the detox and anti-detox menu. Oh, and if you DO eat too much, they even have little cars to take you back to the bridge! What a great menu..(on both sides of the detox option). I am salivating for that rump steak you had.. The desserts for both of you look extremely inviting!